The wartime pontiff who was sympathetic to the Hitler regime is moving towards Sainthood. 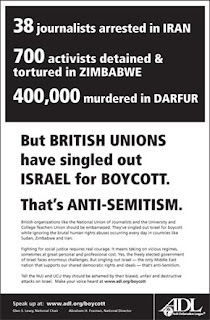 Some of the largest trade unions in the UK are calling for a boycott of Israeli goods. Is Israel the enemy? The only democracy in the Middle East, yet it is condemned routinely for its defence of its people and its borders. Check out the The Anti-defamation League for resources on the issue.